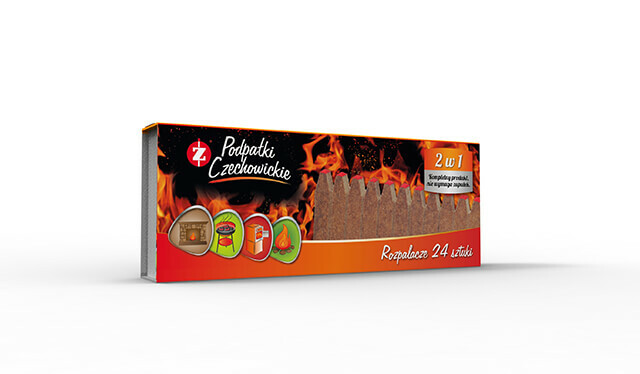 24 firestarters in a drawer-box - PCC Consumer Products Czechowice S.A.
A product dedicated to people who want to have all accessories used to start fires in one place. The special shape of the slab, which is finished off with a head, makes lighting charcoal, fuel wood, stove fuel or even fires, incredibly easy. The product contains all symbols required by the law on it packaging.